This gorgeous home has a very traditional style but is made new with modern and vintage furnishings. 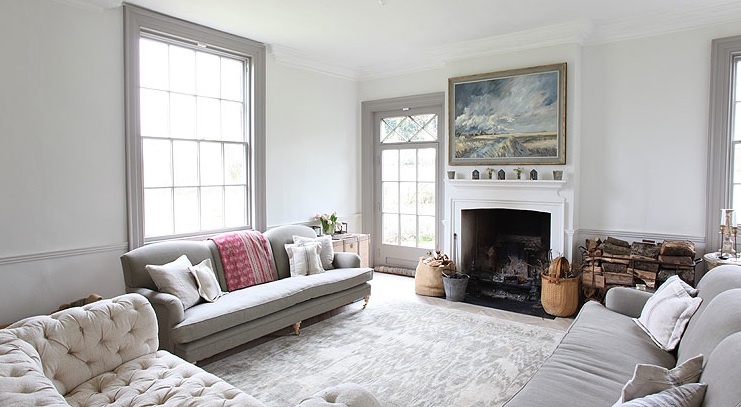 This is such a good example of mixing styles in the right way and creating a very warm and inviting space. I really love the pantry space near the stairs with a hit of red and the rough tiles and table. I also think the kitchen are is so well done alternating the modern counters with barn lights and table. A fabulous outdoor space is an added bonus for sure!